Modern Technological advancement is now creating new jobs functions. Remote work has been a sect that has been around for a while. Remote work has now been fueled by the need to reduce staffs size and office space while getting much done. IT development such as the Facebook business page, linkedIn, Instagram business are supporting innovations of remote work. Virtually modern technology is created to make the world a little bit smaller and all of this can be conjointly to turn the world to an office space. Web developers/designers create websites. They can be contacted to deliver websites for personal or commercial use. They are responsible for look and function. Web designers can put their skills to use in publishing, advertising, management consulting and other fields. 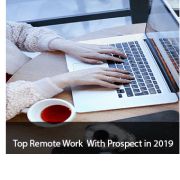 This probably one of the oldest remote work on this list. Web delivers finished jobs on the internet as such might not even meet the clients physically. Analysts project 15 percent as a result of the boom in mobile devices and e-commerce. Customer service representatives are personnel you to get information or support about a particular service or product. For a Customer service representative, remote work can hardly hinder effectiveness because offering the right answer is you need. Analysts project a 5 percent growth. Corporations, call centers, and many other businesses hire technical support specialists to work remotely on several projects. 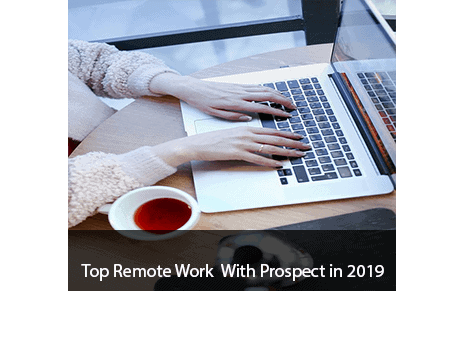 This is perhaps the most anticipated remote job in 2019 because companies are looking to outsource. Analysts project an 11 percent growth in this field. Yes, the print publishing industry is in decline, but there remote work for writers, editors, as well as proofreaders, particularly for the internet. The analyst projects 8 percent growth in this field. Even those without writing experience can join the blogosphere. Aside from being fun, blogging can be a source of income. You can either earn money writing for someone else’s site or getting paid to post on your own blog or through revenue-sharing arrangements. It’s becoming increasingly important for businesses to have a presence on social media. Persons with certain levels of experience with social media websites such as Facebook as well as Instagram. You could make remote work from helping businesses reach out, engage and promote their product through social media marketing. Social media managers or specialists can earn money from training, consulting and also from sales of products. Depending on the size of the business and the amount of work required, you could charge each client between $200 and $10,000 per month, says Upwork, a website for freelancers. The average salary is between $34,432 to $56,571, as estimated by PayScale.com. Experienced designers of logos and T-shirts can work remotely by using computer software to create brochures and advertisements. Websites like Fiverr and 99designs can connect meet potential clients to services. Your earning is dependent the project and your experience. Graphics designing is now a recognized remote work. Analyst projects 4 percent in 2019. Median annual wage: $48,700 per year.